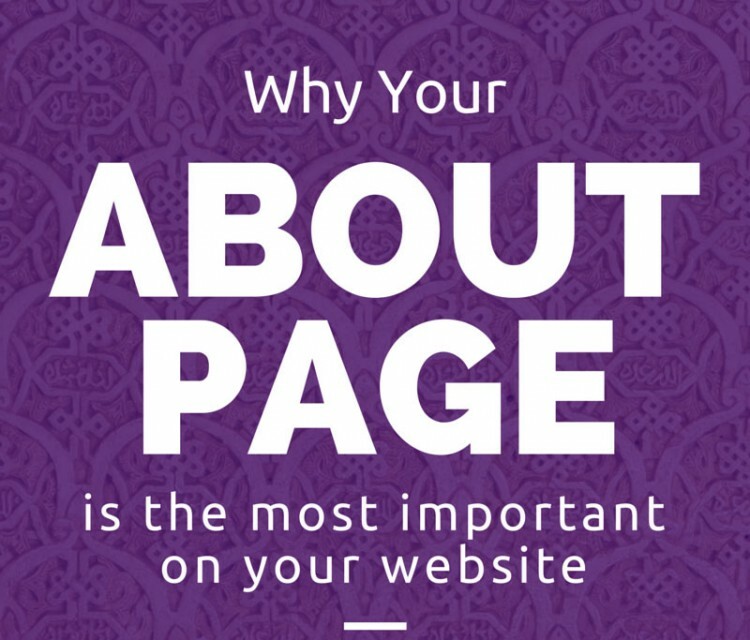 Are you neglecting one of the most important pages on your website? About pages are the most frequently viewed page on many websites. Copyblogger’s Sonia Simone, entrepreneur and analytics expert Neil Patel, and other experts consider the About page to be among the most important on your site. Go ahead and check your analytics in a new tab (I’ll wait) — I bet your About page is in the top 5 most visited pages, if not THE most visited after your homepage. Visitors who stumble across your website get curious about who’s behind it. They want to know who you are, what your business does, and whether or not you can help them. Unlike a traditional bricks-and-mortar business, your interaction with your customers is mostly online. Their first impression of you is based on your website, and when they have questions about you and your business, they turn to your About page.